Born in the Berkshires and raised just over the border at Darrow School. Her early twenties, after earning a degree in science and economics from the University of Vermont, she began teaching at the Montessori School of the Berkshires. During a quarter life crisis she left the classroom and spent several years working full time as a farmer. Now she get the best of both worlds as an educator with Berkshire Botanic Garden maintaining several school garden programs and co-manager of the Market. At the Market, her role is focused on marketing, community engagement, nutrition assistance programs, and lots of other tasks. She feels lucky to live in a beautiful place where she also has meaningful work with two wonderful organizations. She lives in a 1700s farm house in Richmond with her wife (makes the egg sandwiches) two dogs, bees, chickens, and a cat named Sausage. Elizabeth Keen came to farming via social justice work in Guatemala, a 1000 mile bike tour through New England and an unexpected stop in Great Barrington where she found Mahaiwe Harvest CSA and her now husband Alex Thorp. Twenty-two years later she and Al, in addition to two children, have transformed Indian Line Farm, the site of the original Community Supported Agriculture farm in the US, into a thriving community resource for local food. Al and Elizabeth are committed to the productivity and fertility of their land, nourishing themselves, their soil, and their community. They stand behind all they do. Elizabeth was recently appointed by Governor Charlie Baker to be on the Massachusetts Board of Agriculture. Elizabeth is also committed to the Berkshire agricultural community and recently co-started a group called Famers Gather. Elizabeth loves walks with her lovely springer spaniel, Luna, going to Crossfit during the winter months, being crafty with friends and skiing with her family. She also really enjoys listening to audio books while driving to and fro picking up and dropping off kids. Christa and her husband Martin (and 3 children) have been farming (Markristo Farm) in the Berkshires since 1990. Together they cultivate 30 acres of organic vegetables, bedding plants and specialty cut flowers, for both wholesale and retail customers, and have been an integral part of the Great Barrington Farmers' Market since the beginning! When not at market, Christa focuses much of her time on growing and designing flowers for special events (under the name BridleWood Blooms), as well as overseeing the day to day care of raising and training horses on their second farm, BridleWood Dressage. JP Welch began Justamere Tree Farm 37 years ago as a family hobby and has grown the operation from buckets to a 5,000 tap operation, fully powered by solar and sustainable managed forests. He has been attending the Great Barrington Farmers Market for 15 years and is committed to providing Great Barrington market go-ers with responsibly sourced and locally produced pure maple products. He is an avid cyclist and outdoors enthusiast taking part in skiing, camping and hiking all across New England. Tess Diamond-Stafford runs North Plain Farm with her partner, Sean Stanton. Tess and Sean raise 100% grass fed beef, pastured pork, chicken, eggs, select vegetables and operate a 100% grass-fed dairy. 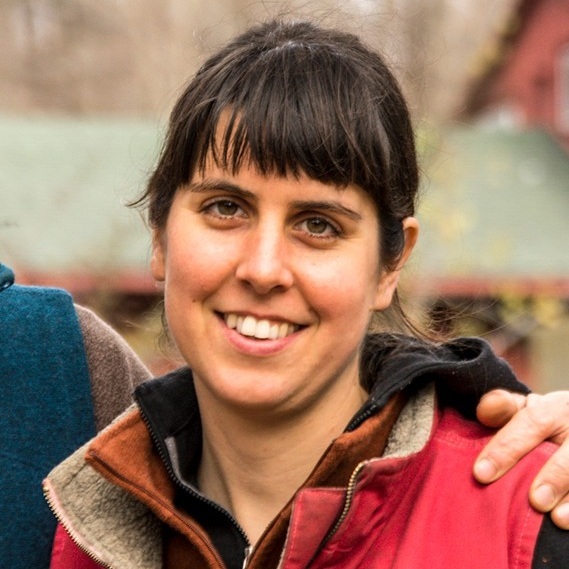 In conjunction with running the farm, Tess is an environmental and food-systems educator. You can find her taking orders for grilled sausage and running after her two young children at the Great Barrington Farmers Market every Saturday. Maddie is a Berkshire native who grew up in West Stockbridge and travelled after high school working on farms and homesteads before settling back in the Berkshires for the second chapter in her life. In the Spring of 2011 Maddie coufonded Hosta Hill with her partner Abe when noticing a lack of fermented foods in the Berkshires. They've been growing the business together since, producing a line of locally sourced fermented vegetables. She loves creating art, food and medicines and dabbles in various crafts. She has spent the winter darning socks, felting wool, eating healthy amounts of cheese and chocolate and raising her 8 month old son. Swimming in the cool Berkshire waters is what gets her through the heat of the summer. Maddie and Abe live in West Stockbridge with their son Elden, dog Oso and cat Buzz.